ID Labels Provide A Customer Printed Look To Any Outdoor Application. ID Labels are made of durable polyester to withstand harsh environments and provide long lasting durability. Laser and inkjet compatible. Available styles include Removable Self-Adhesive Color Coding, Label Pads, Repositionable Shipping Labels, Easy Peel Laser Mailing, Pres-A-A-Ply Address Labels, Eco-Friendly Lables and more. Color is Glossy White. Bright Color Coding Labels help you prioritize your inventory or shipments. 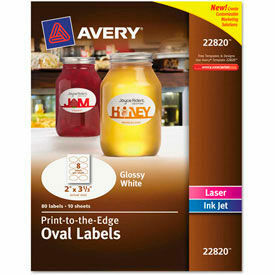 Paper labels with durable adhesive backing. 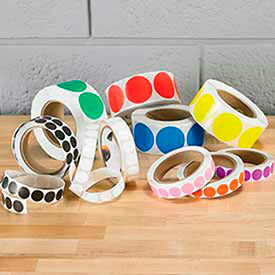 Order in rolls of 1000, priced each.Label Size: 2" Diameter.